Would you ever live in a haunted home? A new survey from Realtor.com shows most folks won't shy away from a spooky space--so long as the price is right. and 29 percent would do so if more bedrooms are involved. Who minds a few spooky spirits if there's a third bedroom, amiright? From the survey, 47 percent of participants indicate they would live in a home where someone died, 27 percent said they might, and 26 percent said they would not. The survey also showed certain paranormal activities are preferred over others. Forty-eight percent of those surveyed didn't mind a few cold or hot spots in their home, whereas 45 percent could get down with unexplainable noises, and 39 percent are willing to tolerate strange, freaky feelings in certain rooms. Thirty-five percent of folks could deal with shifting shadows, but only twenty percent were alright with levitating objects or the sensation of being touched. 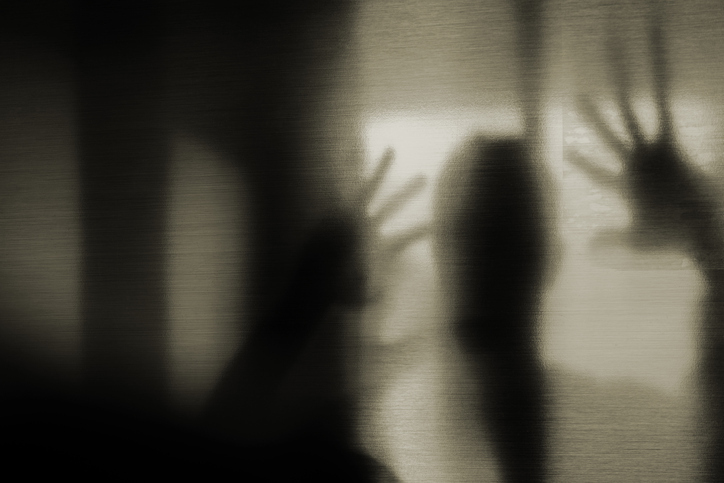 Of those surveyed, 28 percent believed they already have lived in a haunted house, with 14 percent unsure and 58 percent quite sure they've never been haunted. * Years ago someone was murdered in a house rhat i was soon to list. Washington State requires full disclosure of the murder to any potential buyers. I decided to get it up front at open houses – no use in wasting time! Maybe half the people turned around and walked/ran out. The other half basically shrugged. The ultimate buyer had their spiritual advisor bless it at a housewarming party. It probably sold for 8 – 10% less than it could have without the murder. * Different transaction, someone committed suicide in a 5th floor condo by jumping over the balcony to the ground below. Suicide is another required disclosure. The listing agent argued that the woman died 5 floors down, not in the unit. My clients “bought the argument”!